Chris found a passion for wellness by helping people become more active when he worked at a renown sports medicine physical therapy rehab center, in Celebration (Orlando Area), Florida. He is a movement specialist with a far-reaching background, who has worked tirelessly to learn, grow, and become a very knowledgable Trainer. 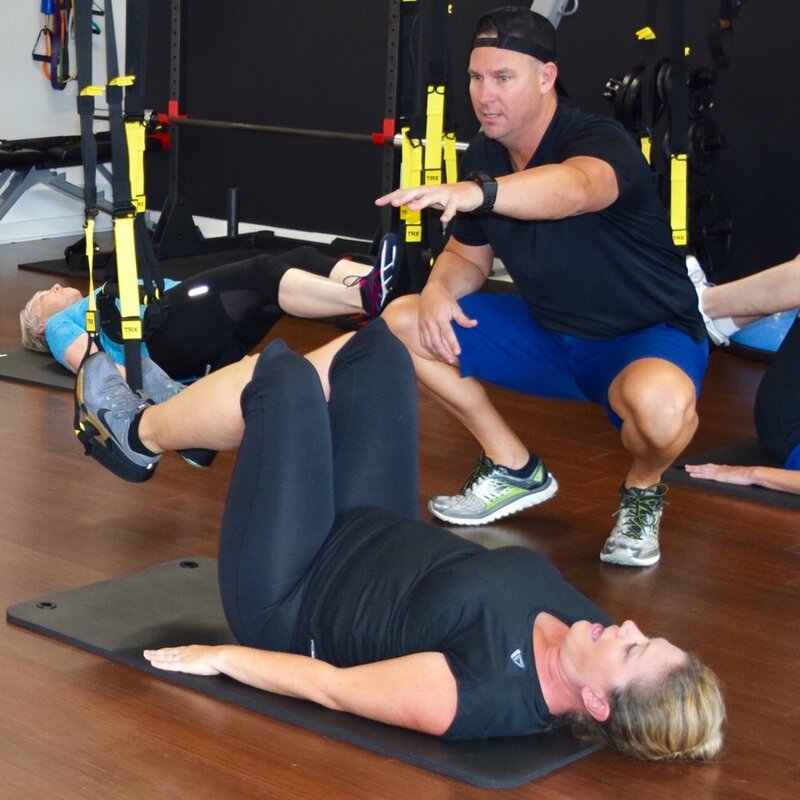 He has represented several fitness brands nationally, and certifies other trainers around the country to use all TRX Training tools, programming and foundational movement principles most effectively. 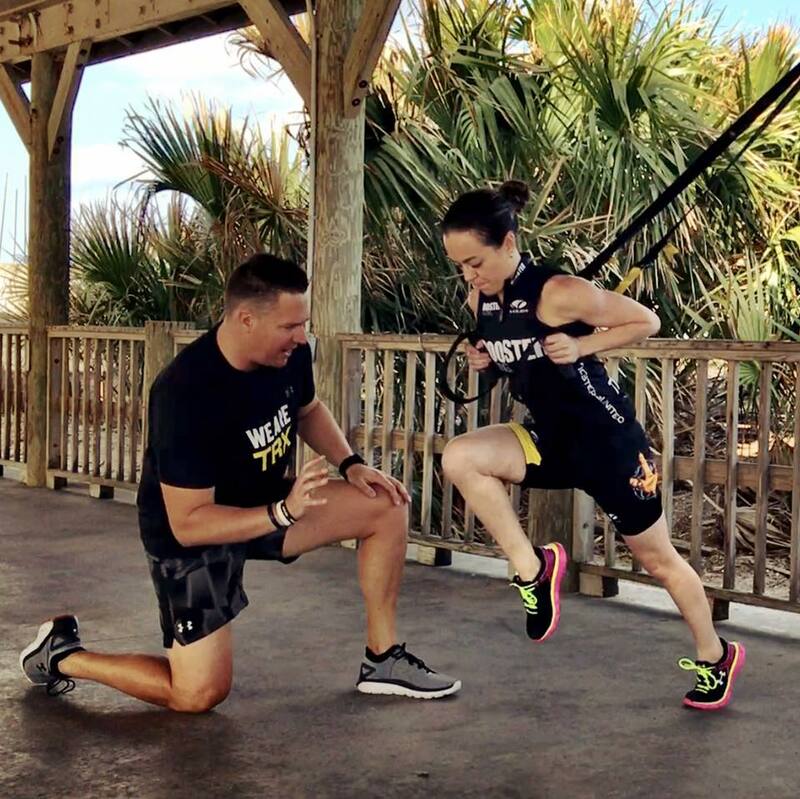 He is the only TRX Master Trainer in all of Northeast Florida. Chris has worked with some of the most notable names in sport, to your everyday couch potato hoping to just get in shape. He helps his clients move better and live more fulfilling lives, no matter their age, level or goal. Kristy is no stranger to health & fitness. An elite athlete (gymnastics) from the age of 8, she carries an extensive list of accomplishments and awards, including her most recent title of Ms Fitness Universe. Kristy is originally from Australia and performed for Cirque Du Soleil in Orlando as a lead performer for 10 years. She became accredited as a specialist in a number of fields including Youth Fitness, Performance Enhancement, Fitness Nutrition and Pilates, and most recently as a Post Natal Fitness Specialist. Nutrition, fitness, weight management, corrective exercise, sports performance, pre and postnatal fitness, and healthy living, for all ages and goals. At first, fitness was just a hobby for Seth. He started out trying to fix his own imbalances and found that he really enjoyed helping people get out of their comfort zones to see their full potential. Helping someone learn a movement that can improve their quality of life and ease possible pain they could be having was always a plus for him. Seth likes that he gets to meet new people and engage in there lives in a positive way, and that people trust him to help get them to their goal safely and in a timely manner. Seth works with athletes of all levels and geriatrics, and specializes in helping people improve their movement and balance to become more functional in their everyday life.